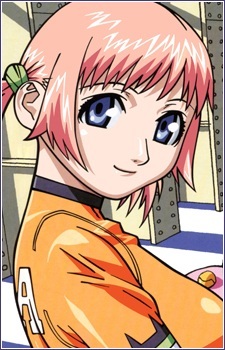 Hair Color: Pink Eye Color: Blue Bio: Mikura is strong, highly proficient at fighting and using firearms. She is determined, strong willed and can be a cold blooded killer if the situation requires her to be one. She is very competitive and unsociable, but she has a kind soul deep down. In addition to her aggressive fighting styles and love of karaoke, she has a precognitive ability that allows her to see short glimpses of future.